Happy New Year! As this year comes to a close, take time to acknowledge and be grateful for all of your accomplishments in 2015. As 2016 begins, look forward and be thankful for all of the tremendous opportunities ahead! December was a very busy and productive month. I taught clinics in Colorado and California. We welcomed a new student and her horse to team Market Street. I shared some of my winning strategies with life and leadership coach, Joanna Grover Watson. I had such a wonderful time teaching my clinic at Hobby Horse Farms in Colorado. The riders were so open and hungry to learn. Their gratitude, even after some new or challenging exercises was remarkable. The horses are the best teachers, showing frustration, confusion, acceptance, understanding and success. Such fun to watch the horses and riders process and learn new ways of thinking and responding, through various exercises and repetition.The changes and improvements in so many of the horses and riders were incredible. I rode and demonstrated in nearly every group. They could see and then feel what I was looking for. Position, execution, balance, lightness, to name a few concepts. Everyone came to learn and grow and they did! Teaching at Rose Bowl Riders in Pasadena, CA was a lot of fun. Katie Ginzton, who I knew as a little girl, organized the clinic. I grew up across the street at The Flintridge Riding Club, so I have extremely fond memories of this area! I enjoyed seeing some old students and friends. Most of the riders had not ridden with me before. Pretty quickly, they understood what I was looking for. All of their attitudes, were eager to learn. All of the horses were adorable! Some horses were fresh, a few spooky. These are what will teach riders how to handle various situations. Horses are not "push button" or perfect all the time. That's part of the challenge and the fun! 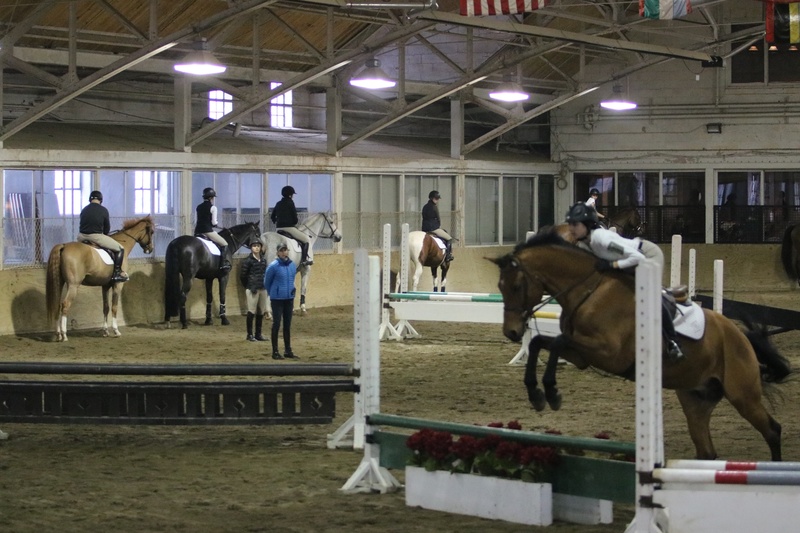 It was an enthusiastic group of riders with amazing horses. My teaching is so rewarding. As I tell my students, I am passionate because I believe you can do it! And then they do! My dear friend and student, Joanna Grover Watson, interviewed me for her newsletter. Joanna is a life and leadership coach. I shared my 6 winning strategies with her which you can read below. 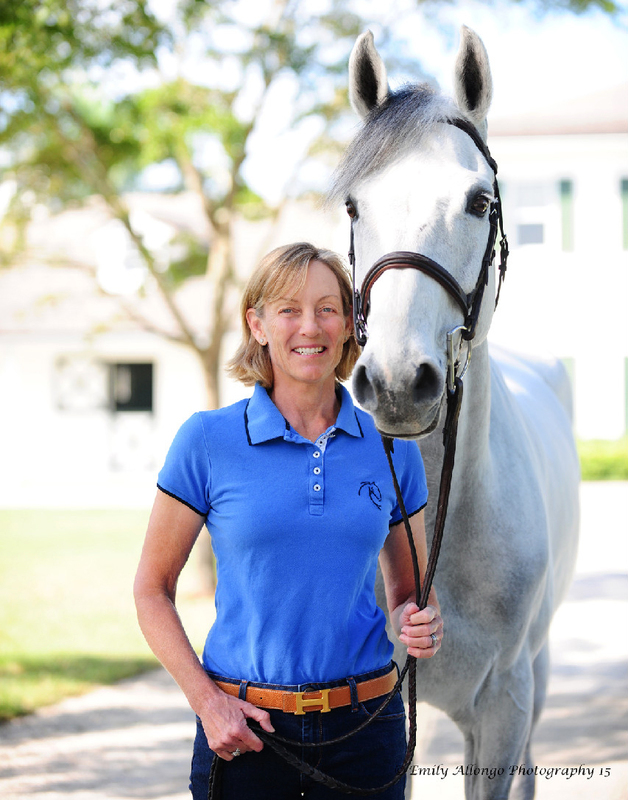 We are settled into beautiful Fairlane Farm in Wellington, Florida for the winter. I am available here for lessons. New students and ship ins always welcome! 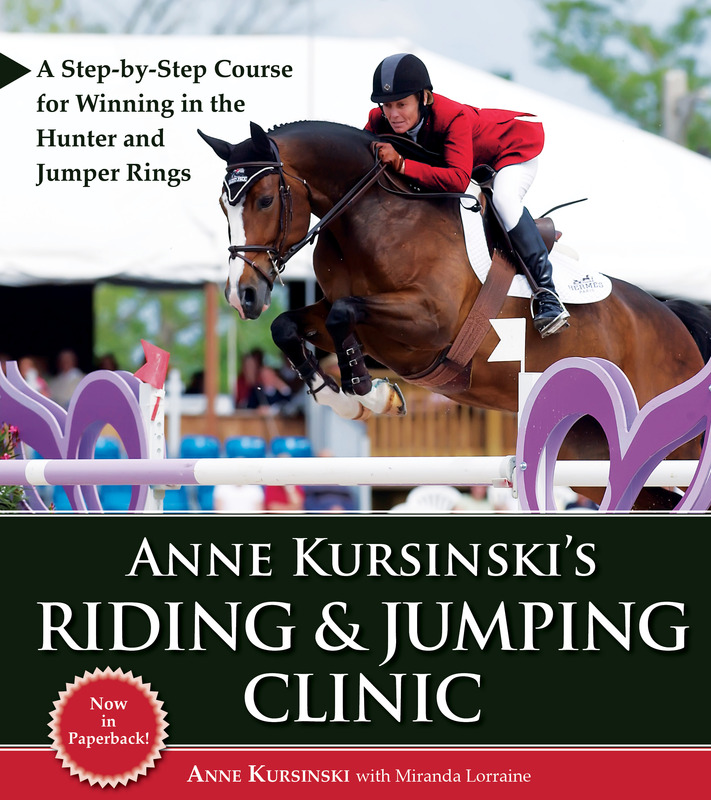 This month in the Ask Anne Forum I answer the RJM member question "What can I do to help maintain focus and confidence while jumping?" 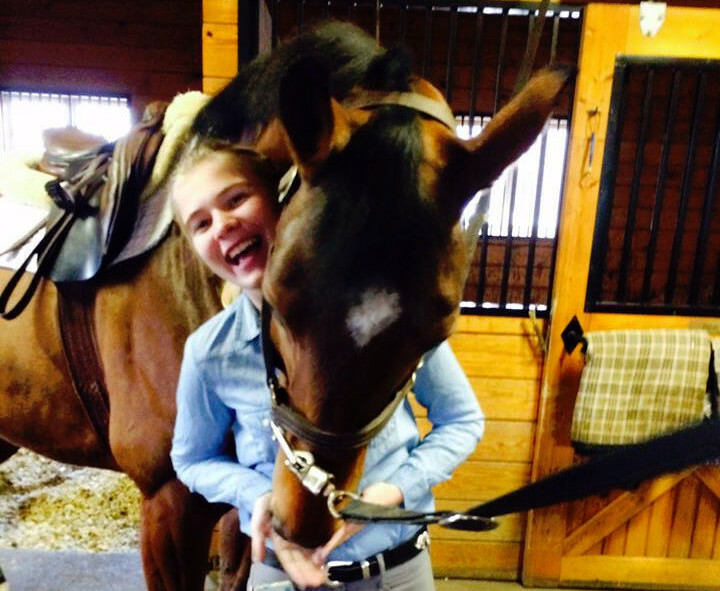 My gift to you and your horse for 2016 is $100 off your first year of Riding and Jumping Membership. Resolve to become a better rider in 2016! Get a one year membership for $199 by joining between January 1 and January 18. Use Promo Code: RJM2016 at checkout. 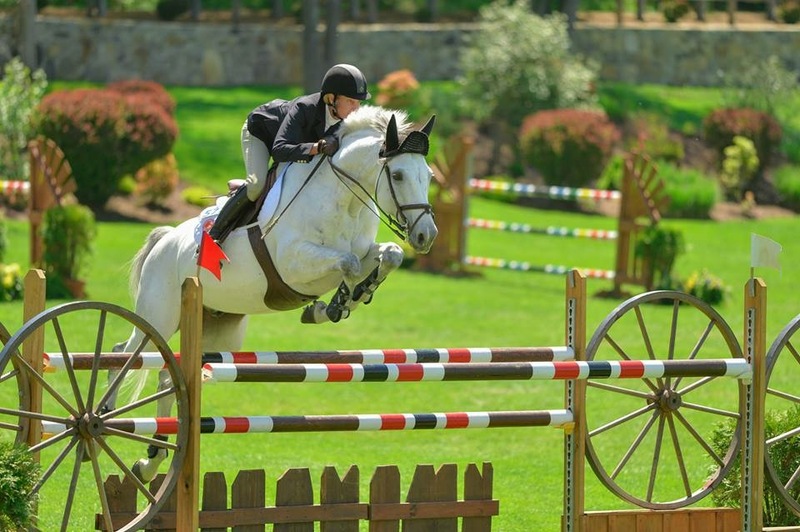 Click here to join Riding and Jumping Mentor! 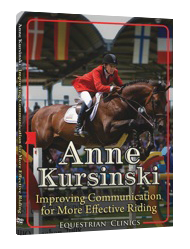 Anne Kursinski’s accomplishments in the equestrian arena are extraordinary. It never ceases to amaze me how this 5’7” woman who weighs less than 130 lbs. can climb aboard a 1,000 pound animal and lead them to believe that they could clear 6’ fences, fly across water and soar over terrifying obstacles with such confidence and finesse. Despite the man-made hurdles, she is one of the most beautiful riders to watch. According to Anne, being the best equestrian she could be was always her goal and the competing in the Olympics was her ultimate dream. Just how did she rise from a small girl watching from the sidelines to being one of the best in the world? Every dream is made up of moments. For Anne, it’s about to committing to the moment wholeheartedly. It’s preciously what got her through one of the toughest times in her career. In Barcelona, during the ‘92 Olympics, her horse Cannonball refused to jump one fence in the first round. The pressure was enormous. Anne knew she has just one more shot for her team and her country. She dug deep. According to Anne, “I gutted up and said to myself, ‘by God we have to do this!” She envisioned it and fully believed with every part of her being that she and Cannonball could do it. Anne made it happen. She and Cannonball had a clear 2nd round. Resolve to become a better rider in 2016! Join Riding and Jumping Mentor Today. Save $100 on yearly membership by joining between January 1 and January 18. Use Promo Code: RJM2016 at checkout.